Daniel has been coding for nigh on 20 years. Having been somewhat of a garden programmer he has wandered through a variety of technologies including desktop apps, web and mobile. Having originally learnt about information security the hard way, Daniel now heads up the security tools development team within MWR InfoSecurity building tools for security assessment and assurance. 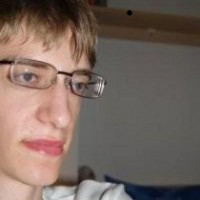 Daniel is a keen advocate of open source software, and has recently been hacking Android with Drozer: the de facto tool for Android security assessment.